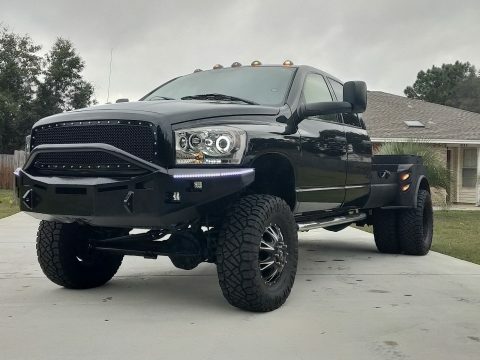 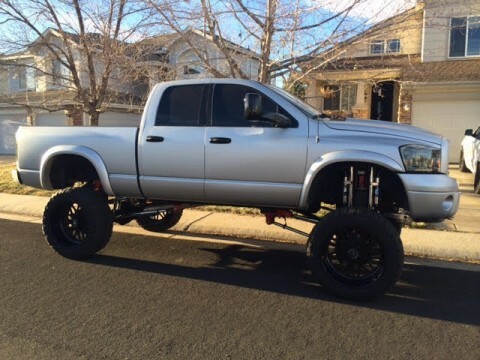 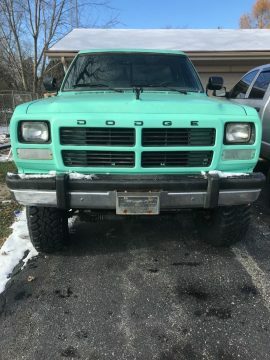 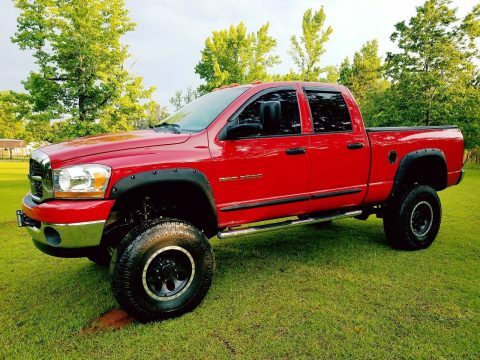 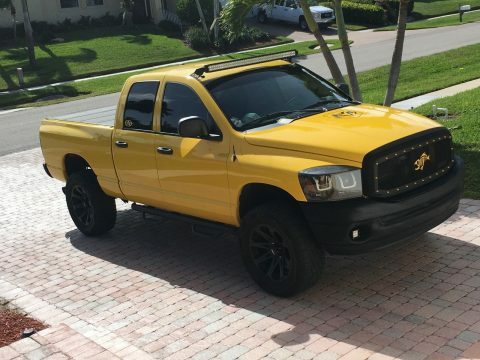 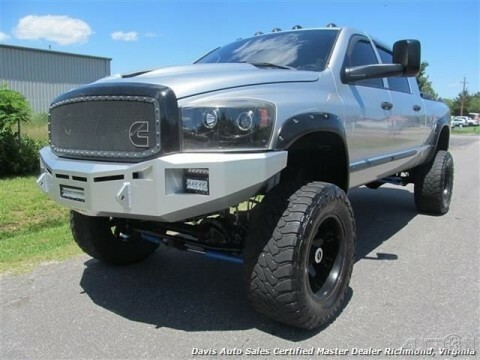 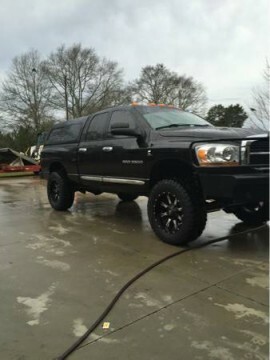 LIFTED CUMMINS LARAMIE! 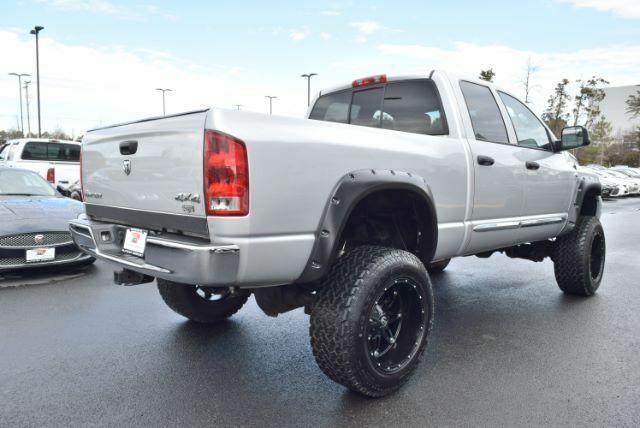 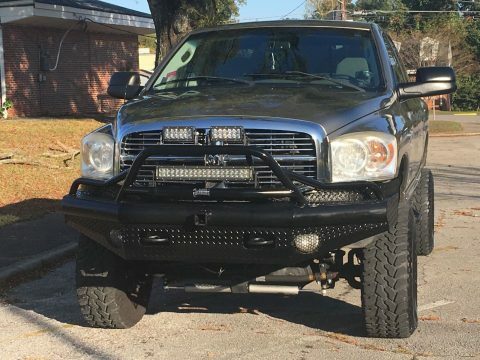 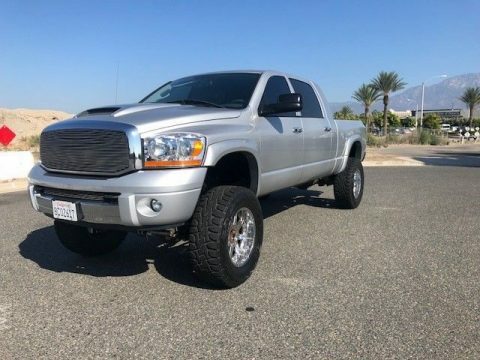 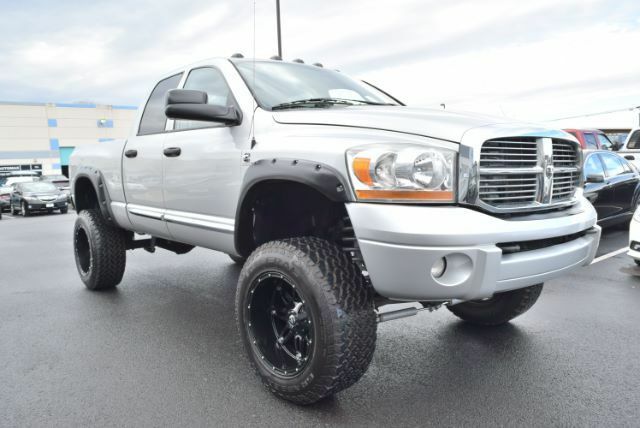 This 2006 Dodge RAM 3500 Laramie Quad Cab 4WD is finished in a Bright Silver Metallic with Medium Slate Gray Leather Interior. 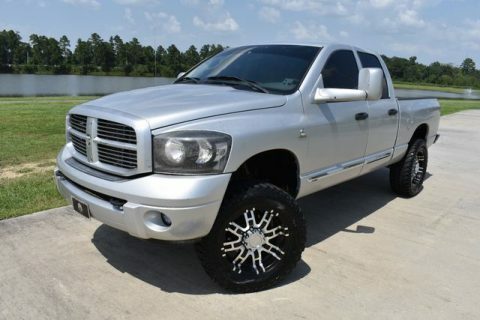 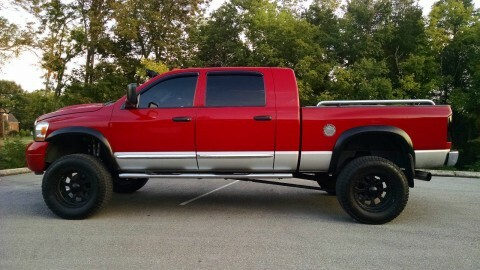 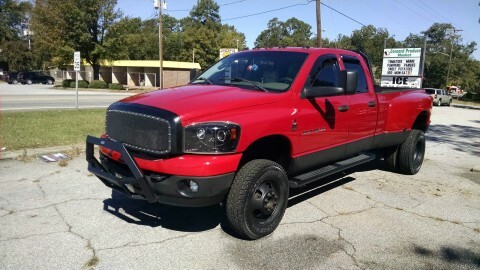 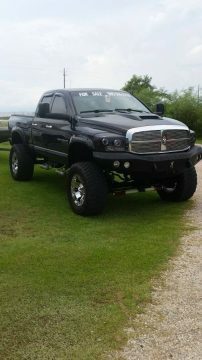 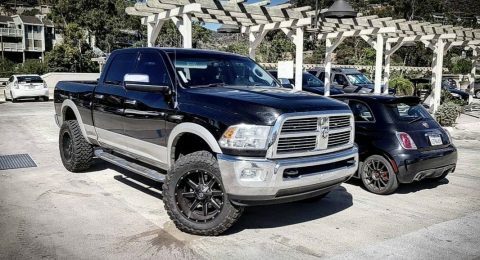 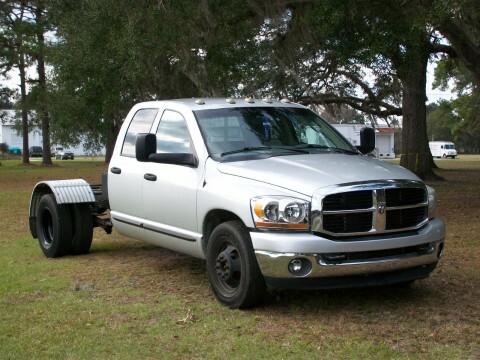 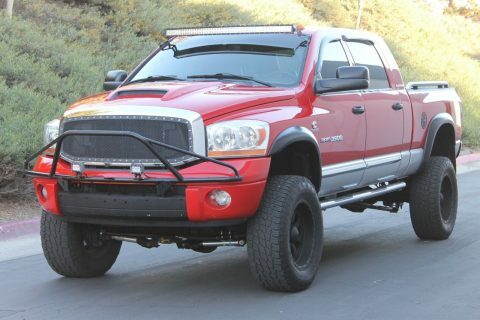 This RAM 3500 Laramie is powered by a 5.9L V6 Turbo Diesel mated to a 4speed Automatic Transmission. 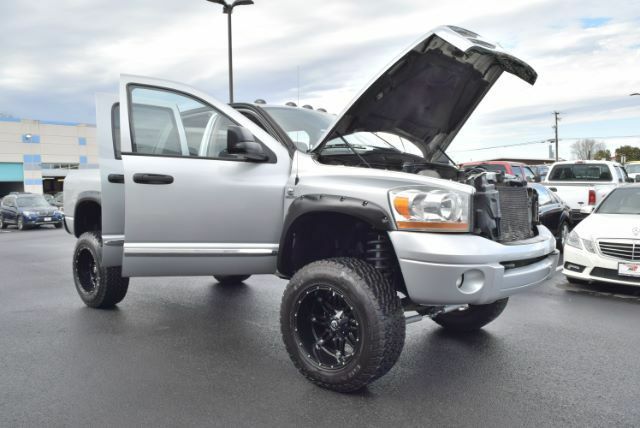 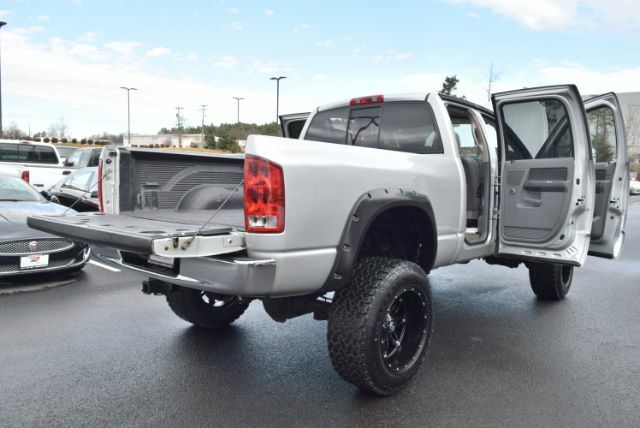 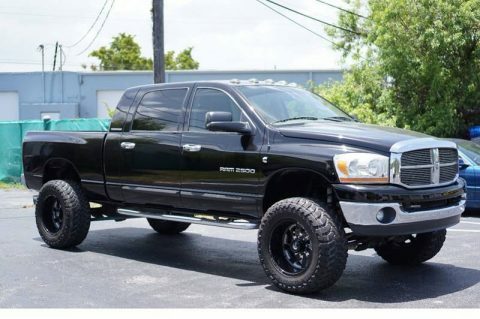 This 2006 Dodge Laramie comes fully optioned with a Laramie Package, 4X4, Premium Audio System with a in dash 6 CD changer and MP3 player, Steering Wheel Controls, Dual Climate Control, Heated Front Seats, Adjustable Pedals, Power Rear Slide Window, Fender Flairs, Bed Liner, Fog Lights, Tow Package with Front Tow Hooks, AFE Performance Air Intake, 20 inch FUEL Wheels wrapped in 35X12.5/20 All Terrain Tires.